1: Amateur Radio Resources for Kids, Families, and Everyone Else. 2: FAQs, Programming, Drivers, Reviews for all things Baofeng, Wouxun. 3: Amateur Radio Weekly is an email newsletter sent once a week, containing links to the most relevant news, projects, technology, and events happening in ham. 4: Radio Reference is the world's largest radio communications data provider, featuring a complete frequency database, trunked radio system information and FCC license data. 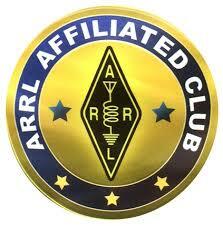 5: The Amateur Radio Relay League (ARRL) is a national advocacy organization for amateur (ham) radio operators. Check the membership link includes a monthly magazine, amateur radio news, equipment insurance, sponsoring contests and QSL services to name a few. 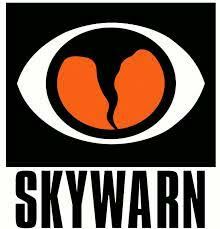 6: ARRL Indiana Section (state level offices) webpage lists information specific to Indiana. Here is listed amateur radio clubs in Indiana, upcoming hamfests and upcoming classes and testing sessions. 1: Radio allocation table for US lists allocation of frequencies from 3 kHz to 300 GHz in the United States. 2: AMSAT - Formed with the goal to foster Amateur Radio's participation in space research and communication. From the first Amateur Radio satellite, OSCAR1 (Orbiting Satellite Carrying Amateur Radio) launched on December 12, 1961 to today’s cubesats. 3: Mark - ON4WW (from Belgium) offers a review of Operating Practices from his experience as a ham. 2: DXwatch.com is a web site intended for amateur radio DX enthusiasts. Their mission is to publish a website which can work as a real DX tool. They try to offer the most advanced webcluster and some dx tools. 6: The ARRL On The Air link has numerous resources for operating, tutorials, special event stations and more. 8: Rick Tavan N6XI offers a good article about explaining to his friends what amateur radio contesting is. 3: N3KL Solar Activity Monitor - has information on Solar X-rays and the Geomagnetic Field status. 4: N0NBH - Has HF propagation tools and solar data. This site is home of the popular Solar-Terrestrial Data Panels and has the information so you can add to your site this popular propagation tool. 4: A web site about QR Codes (Bar Codes) has a very good article on the history of Morse code and telegraphy. 7: The Jay Leno Show - Morse Code versus Text messaging – which is faster? 8: KB6NU developed a game called Tech Pursuit (a game based on Trivial Pursuit) about Ham Radio using questions on the Technician Class License study pool. 1: 101 Science.com has a very good straight forward on line course that covers the basic electronics needed for the technician license and more. NOTE: This course is for studying the electronics theory portion only. It DOES NOT cover all of the elements of the FCC exam. 2: AA9PW.com offers testing options for visually challenged users with its option for "no figures" in the exam. 3: Qrz.com - Check the resources link for test and study resources. Bookmark this one as a good information source once you get your license! 4: Offers flash cards, practice exams and question pools with either multiple choice answer format or the correct answer only options. 5: HamStudy.org offers flash cards and practice exams developed by Richard Bateman, KD7BBC and sponsored by ICOM America. 6: Ham Testing.com offers on line question pools in many formats. On line test with score tracking and question pools with either multiple choice answer format or the correct answer only options. 8: AH0A offers Ham Academy for exam practice. 1: A popular online source of shortwave broadcasts. Clean, easy interface to find listings by the hour. 2: SWL Archive - Excellent source of current info on worldwide SWL stations and an archive of SWL broadcasts for several stations. 3: Your guide to shortwave radio listening, news and shortwave radio reviews - A beginner’s guide. 4: Wikipedia has a nice, concise overview of Spy Numbers Stations. Read this to better understand the history of Spy Numbers. A numbers station is a category of shortwave radio stations characterized by broadcasts of formatted numbers, addressed to intelligence officers operating in foreign countries. 5: This is the Wikipedia entry for shortwave radio. It briefly touches on many aspects of shortwave listening. 6: This is a favorite SWL nostalgia site. It is loaded with interesting articles and links.